PRAC-TIC for small dogs [3 pack] is for the treatment and prevention of flea and tick infestations in dogs. 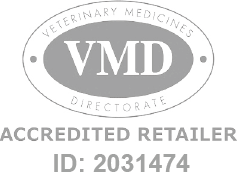 Prac-tic Spot-On for Small Dogs - 3 Pack is a Prescription Only Veterinary Medicine and by law requires a prescription from your vet. PRAC-TIC for small dogs is for the treatment and prevention of flea and tick infestations in dogs. Pyripole kills fleas within 24 hours of application and prevents flea infestations for 4 weeks. Ticks are killed within 48 hours post-exposure and one application is effective against ticks for 4 weeks. PRAC-TIC Spot-on Solution for Small Dogs contains Pyripole 137.5mg Easy to use pipette containing solution to be applied topically to the skin on the back of the neck 1 pipette per dog weighing between 4.5- 11kg For the treatment and prevention of fleas use every 4 weeks For the treatment and prevention of ticks use every 4 weeks Can be used in puppies over the age of 8 weeks/and or weighing over 2kg. DO NOT USE in Cats or Rabbits.